Criminal charges, even if unfounded, need to be addressed immediately and with great care and precision because even seemingly low level charges can ruin an individual’s life, leading to loss of driver’s or professional licenses, loss of passport and other freedoms, difficulty in obtaining employment, renting an apartment or securing car insurance, and an overall inability to support one’s family. 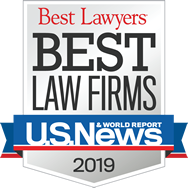 The criminal law group at Strassburger McKenna Gutnick & Gefsky aggressively defends Western Pennsylvania residents against criminal charges ranging from drunk driving to high-profile white-collar crime. Led by a former Allegheny County Assistant District Attorney Laura Beth Gutnick, our attorneys have the trial experience and knowledge of area criminal courts to represent our clients in any type of criminal matter. Lead attorney Laura Beth Gutnick uses her experience as a former prosecutor to anticipate charges before they are filed so the preparation of a defense can begin at the earliest possible time to prevent the loss of key evidence. In every case, our attorneys seek acquittal, dismissal, or a reduction in charges to minimize the consequences at sentencing and to reduce court costs, fines or other penalties. We understand the collateral consequences of a conviction, and offer thorough preparation and intensive discussion with our clients to ensure that all bases are covered. When necessary, we use our cross-disciplinary approach to our advantage, applying our knowledge in employment law, business law, and banking to protect those accused of federal crimes, including securities fraud and RICO cases. Each state permits expungement of criminal records in certain circumstances. Pennsylvania courts often will grant expungement where a case has resolved with a not guilty verdict, nolle prosse, withdrawal, or dismissal and even in the event of a summary level conviction, provided that the defendant has remained free of arrest or prosecution for five years following the conviction. In every case, SMGG lawyers do the groundwork to determine a client’s eligibility and undertake the appropriate steps to petition the Court for expungement. Strassburger McKenna Gutnick & Gefsky criminal law attorneys know the various state laws and local court systems for the Western Pennsylvania area and are able to anticipate the approach the prosecution will take. Whether weekday, evening, or weekend, we stand ready to protect our clients’ rights and futures. To learn more about how we defend against criminal charges, contact Laura Beth Gutnick at lgutnick@smgglaw.com or at 412-720-8017.